When you are looking for new Toyota cars for sale, we are ready to help. Midtown Toyota has a large selection of these vehicles to help find you the perfect model to fit your needs. For those looking for a new SUV, the 2017 Toyota RAV4 is a great option for Chicago, IL drivers! This Toyota SUV comes in five trim levels. They all come with a 2.5-liter four-cylinder engine that delivers 176 horsepower and 172 lb-ft of torque that is paired to a six-speed automatic transmission. This is available with either front-wheel drive or all-wheel drive. Features on the 2017 Toyota RAV4 give the driver plenty of comfort features for everyone in the vehicle. The dual-zone climate control will keep everyone at their optimal temperature while the driver-seat memory functions starting on the Limited trim levels will ensure the driver can always get their settings back to exactly how they want it after someone uses their car. There are two available audio systems that incorporate navigation so you never get lost again. The different sound systems are the Entune™ Premium JBL® Audio with JBL® GreenEdge™ speakers or the Entune™ Premium Audio. 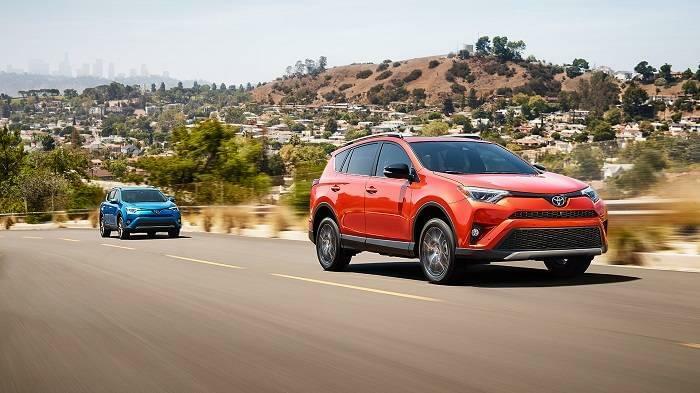 The Toyota RAV4 is not only fully loaded, but it also received a five-star overall safety rating in government crash tests. It also was named aTop Safety Pick+ by the Insurance Institute for Highway Safety (IIHS) when it is equipped with LED headlights. One of the available features that we love most on this model is the Bird’s Eye View Camera. This system lets you get into small spaces with ease, and it also includes a Perimeter Scan that gives you a live, rotating 360-degree view of surroundings. 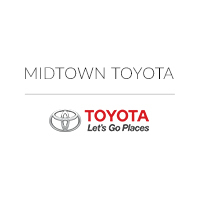 Whether you are in the market for new or pre-owned Toyota cars, Midtown Toyota is your go-to resource for all things automotive. As a Toyota dealer in Chicago, we invite you to head over to our lot and get started in your new car search today. We promise you will not be disappointed by the selection or our outstanding customer service!